Phoenix proceeds apace. The stock is now fitted to the ladder and the rail is finished and waiting to be inletted. The toothed sideplates are in the works and should be installed soon. I have designed all the relevant components so that the trigger assembly from Firefly can be used on Phoenix. This will put us much closer to getting our new machine up and shooting. When a new trigger assembly is eventually completed, both machines will have an interchangeable spare available. 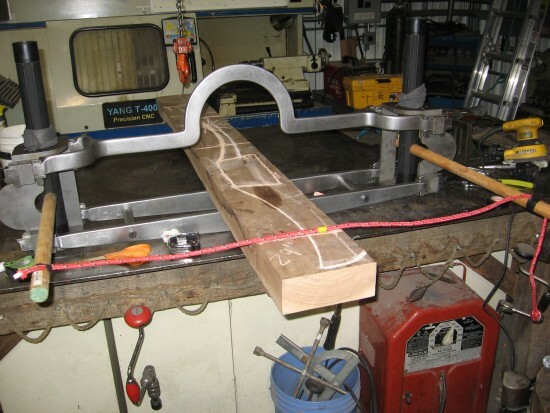 As mentioned before in this blog, adapting Philon’s design for a wedge machine to work with an iron framer like the Elenovo ballista, will be the focus of our effort as we move into the final stages of making Phoenix. 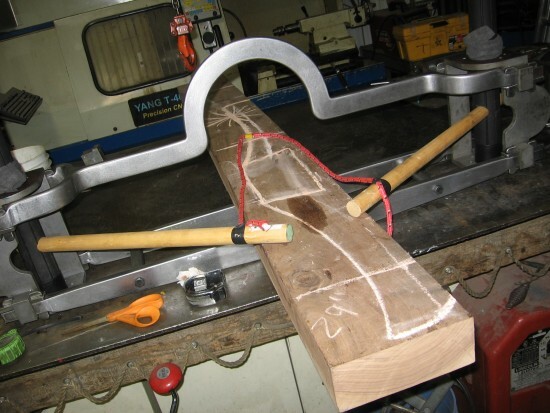 If it can be made to work it will suggest an approach that answers the unaccountably small number of locking holes on the modioli of the Lyon machine. It will also explain how the Romans could protect the delicate spring cord in a machine equipped with sharp, right angled edges on it’s crossbars. I’m not much in the mood for any extended blogging, so I’ll leave it at that for now. More will follow soon enough. February is the worst month for cabin fever. It can lead one into all sorts of crippling diversions. 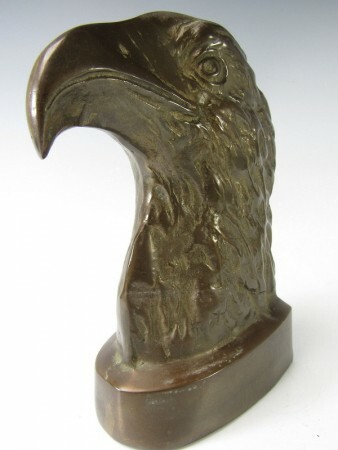 Take, for example, this vintage, 7 1/2″ tall bronze eagle I just purchased on ebay. I have been urged by certain inner voices to try and incorporate this handsome fellow as a nosepiece on Phoenix. Why? Because the urge to break out of the ordinary is unusually strong this winter. All the snow and fog that has cocooned us these last few months seems to be affecting my perspective. A countervailing voice warns about the dangers of artistic pretension. It will probably be best to consult the Sun Gods before making any irrevocable moves with my hacksaw. I made this mock-up today for assessing the bowstring geometry and it’s relationship to the stock. When the limbs are forward the string appears thus. I am still exploring the many benefits of short rotation, high intensity power strokes in the machines that I build. It looks like Phoenix’s stock will be about five feet long, with roughly equal amounts projecting fore and aft from the central iron framework. I expect the power stroke to be from 30″ to 36″. I knew that Phoenix was going to be a compact machine, but I wasn’t prepared for how radical that would look until those chicken-scratch chalk lines told the story. With a winch that is geared to operate with that winch handle artifact from the Elenovo Horde, Phoenix will be a trim little beast for sure. Fast to reload. Under a minute, I would expect.